For the past three months, I have wanted to respond to the allegations Harvest Bible Chapel and James MacDonald made in their baseless lawsuit against me and the authors of The Elephant’s Debt and their wives. I have refrained from doing so because judges don’t take kindly to defendants litigating their cases publicly. Yet now that MacDonald and Harvest are dropping their lawsuit, I think it’s appropriate to set the record straight. Like anyone who’s had lies told about them, I have a desire to defend my character, and I don’t deny that. But there’s a much more important reason I’m telling my story now. Thousands of people still attend Harvest and collectively pledged $29 million dollars to the church as part of its recent Closer Campaign. Some Harvest attenders and supporters don’t want to hear the truth and will support MacDonald and his elder board regardless of the evil they’ve committed. But some honestly want to know the truth. And it’s for these honest truth-seekers that I write. However, what’s stunning about many of the allegations against Mahoney and Bryant is not only that they are false, but that James MacDonald—and presumably his elders and top staff—knew they were false. In other words, the allegations in this lawsuit are not only untrue, but filed with actual malice. This is unconscionable, especially considering that the plaintiffs are a pastor, his church, two elders (Ronald Duitsman and William Sperling), and former Harvest COO Scott Milholland. As I reported in my exposé on Harvest in WORLD Magazine, the document that MacDonald’s own attorney filed in August, 2017, with the Rutland Township tax assessor’s office states that MacDonald’s current home has 6,891 square feet of gross living area. So, by his own admission, MacDonald’s new home is nearly 200 square feet larger than the home he vacated in 2013, which had 6,700 square feet of living space. The allegation in point #114 is clearly false, and certainly MacDonald knew this. As for his elders, they either were grossly negligent and didn’t know this fact—or like MacDonald, they knew this fact and approved publishing a lie. Similarly, point #61 of the lawsuit claims that ED “falsely and negligently states that Harvest Bible Chapel ‘by 2010 had $70 million in debt and barely survived a bankruptcy in 2006.’” Yet in MacDonald’s book, “Vertical Church,” MacDonald himself states that Harvest’s “church-building program caused bankruptcy to loom large and seemed certain for many months.” Also according to Harvest’s 2008 Financial Statement, the church’s total liabilities for 2008 totaled $70,775,028. It’s absolutely stunning that MacDonald and Harvest elders and a senior staff member would sign on to a lawsuit asserting such blatant lies. However, as I stated, these allegations relate to things published on The Elephant’s Debt website, for which I had no responsibility. Yet, one of the 12 allegations that Harvest’s lawsuit levels against me is that I worked “extensively and in mutual partnership with the authors of ED.” The lawsuit also claimed that my husband “is a former work associate of Defendant R. Mahoney.” These assertions are entirely false and without any basis. When I first read the lawsuit, I was shocked and asked my husband, “Do you know Ryan Mahoney?” He responded, “Ryan who?” I then showed him a picture of Mahoney on the internet and asked if he recognized him. He was puzzled and said no. Then I contacted Mahoney and asked him if he’s ever worked for any of my husband’s employers. Again, no. Furthermore, my first contact with the authors of The Elephant’s Debt was via email in April 2018. Their first response to me was, “Due to life circumstances, getting together to discuss TED would be difficult. Perhaps you would like to converse through email? Your call.” That’s hardly the response of extensive work partners. Given that I had no contact with The Elephant’s Debt prior to April 2018, and the last post by ED prior to the lawsuit was in December of 2017, this claim of partnership is absurd. The lawsuit also alleges in point #123 that I “intentionally made false statements in an effort to defame James S. MacDonald in (my) blog posting.” As I have said before, there’s nothing even remotely negative about James MacDonald published anywhere on my blog before October 17, 2018, when the lawsuit was filed. The lawsuit further alleges that I made false statements in “an effort to harm the reputation of James S. MacDonald in other digital and written media.” This is another complete fabrication. Not only does the lawsuit fail to establish that I published anything false about MacDonald, it doesn’t offer a single exhibit showing that I published anything at all! Similarly, in point #122 of the lawsuit, Harvest alleges that in March 2017, I contacted “multiple Moody board members in an effort to pressure them to remove James S. MacDonald and his program ‘Walk in the Word’ from the Moody program schedule . . .” I didn’t contact any Moody board members in March 2017. Though it’s true that I once talked to Jenkins on the phone, that call occurred before I was fired from Moody. Also, Jenkins and I didn’t discuss MacDonald at all. I simply told Jenkins that many alumni with whom I had spoken had expressed objections to Jenkins’ gambling history. The lawsuit also alleges that I contacted former staff members of Harvest and “began asserting false allegations involving the Plaintiffs.” The truth is, former staff members contacted me and begged me to hear their stories and consider investigating Harvest. After hearing their stories, and discerning that they were credible, I began following up on leads and seeing if I could verify their stories. That’s what reporters do. In addition to the false accusations in the lawsuit, MacDonald and Harvest have consistently forwarded a false narrative about what prompted the lawsuit. According to a statement Harvest posted online, the elders decided to sue the other defendants and me “very reluctantly” after “multiple appeals” had been made to each defendant. Harvest also posted an email it sent to me prior to the lawsuit, requesting a private meeting to divulge “information that we cannot make public.” Harvest said my response was “disappointing,” suggesting I had done something wrong. When Harvest didn’t respond, I called Sharon Kostal, Harvest senior administrator, and left a voicemail message with my phone number. Kostal responded with a text message the same day, asking me whom I’d like to interview. I texted her back on Saturday, thanking her for her quick reply and asking for her email, which she sent the following Monday, October 15. I then sent an email to Kostal, requesting interviews with 10 Harvest staff and submitting six questions. I never received a response from Kostal, but two days later, on October 17, Harvest surprised me with a lawsuit. That same day, I was working with Matt Walberg, former investigative reporter with the Chicago Tribune, on a story concerning a Harvest youth ministries pastor, Paxton Singer, who was charged with sexual exploitation of a minor. Harvest was aware of my activities because Walberg and I had contacted church leaders for comment after Singer was formally charged. I don’t know whether the timing of the lawsuit was a coincidence or not. What I do know is that I responded appropriately to Harvest. Harvest, on the other hand, reacted unconscionably by filing a lawsuit and then misrepresented what had transpired. Protecting the Innocent or the Guilty? Harvest and James MacDonald have consistently maintained that they have nothing to hide. Yet yesterday, when a judge denied their motions to keep court documents private, Harvest dropped the lawsuit. As the Daily Herald reported yesterday, some of the documents I obtained through subpoena included items from former staff and elders concerning how the church handled reports that Singer had sent sexually explicit photos and requests to minors. Also obtained through subpoena was a text from James MacDonald concerning the validity of claims that Harvest Bible Chapel knowingly misspent funds from Harvest Bible Fellowship, the church’s former church planting network that MacDonald dissolved in 2017. (I’ll be publishing more on that soon.) I had also requested 28 sets of documents from MacDonald and Harvest, including MacDonald’s tax returns and detailed financial statements for Walk in the Word, MacDonald’s broadcast ministry, which they failed to produce. Supporters and members of Harvest need to ask themselves why Harvest would drop its lawsuit in order to keep these documents private? Is it, as they allege, to protect “innocent people”? Or, as MacDonald and his elders have consistently done, did they drop the lawsuit to protect the guilty? Beyond that, people need to consider the documented lies MacDonald and Harvest’s leaders have consistently forwarded. How can a pastor and leaders who consistently lie be trusted to preach the gospel of Jesus Christ, the one who is the truth? I don’t ask these things gleefully, but with great sadness. MacDonald and Harvest leaders had so much potential to reach people for Christ and to expand the kingdom, yet they squandered it. Now, they need to confess, repent, and resign. Perhaps some perspective is needed here when considering what it means to leave the employ of HBC. You work there (and get paid well for your silence) your kids go to school there (and you get a substantial tuition discount), all of your ‘friends’ are there (because you are, of course in small group(s) together), and every part of your life is consumed by all of these things. So, leaving, it’s generally assumed, means that you no longer have a job, you aren’t welcome at church, you aren’t welcome at school, and you get cut off by all your ‘friends’. Who’s ready to leave now? Except, if you truly believe in this God that you say you’re ‘serving’ by staying, you should also believe that He is the only one that can truly protect you. Only He can provide. Only He knows the whole truth. Believe only in Him. The adage of ‘but He’s doing great things here despite all the lies and deception’ is flawed thinking in every way. Our family came to realize that it would have been easier to move out of state than to leave this church home. After all, it was our family. We were loved! Well, it would have been easier but God doesn’t call us to easy, rather He promises that He won’t let us endure more than we’re able. We came to realize who our real friends were and, who they weren’t. And guess what, that’s ok. And we have new friends. Time and truth go hand in hand. Well, it seems the time is coming. And, the only thing that really matters is, when will He return to judge the quick and the dead? What’s your motive Julie? Do you think you are going about this in a loving way? In addition to Harvest you have also gone after Moody and now Wheaton College. Your husband currently works at Wheaton Academy which filters in many students to Wheaton College. I will be asking the leaders at Wheaton Academy to terminate your husbands employment. Do you get paid for your work? if so how much are you making from these investigations. It is also true that Harvest asked you not to speak at a woman’s conference last year so I can only wonder if this is revenge. After reading Ms. Roys articles, the HBC statements, the Elephant’s Debt site, articles in the “World” magazine about this matter, the comments at the end of all Ms. Roys’ articles, and articles in the Chicago Herald, I wonder if there is ever any truth embedded in sin? I saw all the words which were not written down but which are the names of all the sins behind all those spoken, written, acted-upon words. And then I thought about why Jesus came into the world. And why He died. And what He taught. And what He commanded. And who were responsible for His death upon the cross. And how we can be saved. And what is belief, repentance, grace? And who is the Body of Christ? So here are all the words which were not written down but which are the names of all the sins behind all those spoken, written, acted-upon words. Here are 68 of about 125 sins listed in the New Testament, taken from an unknown website. 2 Backbiters: Those who speak evil about those who are absent. things without thinking of the effect on a weaker brother. 4 Being angry with one’s brother: Expressing unkind thought, words or actions toward others. 7 Brother going to court against a brother: Bringing legal action against another. 12 Covenant breakers: Breaking a solemn or legal pact. 18 Desiring the praise of men: Doing things to gain praise. 27 Receiving personal gain through our unrighteousness. 31 Giving offense: Causing another to fall spiritually because of our influence and example. 35 Having pleasure in saying or doing things worthy of death; Enjoying the company of other sinners. 39 Idle Words: Words of no value. 40 Idolatry: Loving someone or something more than God. 44 Laying up treasures on earth: Pursuing material success at the expense of spiritual things. 45 Living in pleasure: Fond of luxury and sensual pleasure/gratification. 49 Maligning: Being harmful or creating bad character falsely of others. 52 Puffed up: Overestimating of one’s ability or knowledge. 54 Sedition: Stirring up opposition against authority. 56 Speaking evil of others dignities; Speaking ill of those to be honored. 59 Swearing: To take oath (as in court). man made interpretations or man’s commandments. 68 Whisperers, secretly spreading false or slanderous information over and over and over to any who will listen..
Christiana–I’m not clear on your overall point. Yes, “For ALL have sinned and fall short of the glory of God.” I am a sinner among sinners. But what does that have to do with whether James Macdonald and 30 Elders at HBC have disqualified themselves as Elders? I am a member of Harvest. As far as I know, Ms. Roys is not. I have been attending Harvest for about 8 years. No previous Pastor has had such a powerful and positive impact on me like Pastor James has had. The Lord has used Pastor James to speak to me about my sins with brutal honesty while convicting me to immediately take action on my unforgiveness and pride. When speaking to my unsaved friends, I find that certain catch-phrases Pastor James uses come to my mind and help me to immediately remember the corresponding Verses in Scripture and their application to life situations. The depth of Pastor James study of Scripture and his excitement for God’s Word is contagious. At times the serious atmosphere coming from the pulpit at Harvest tells us that we are not the only ones struggling with the problems being talked about; Pastors have those problems too. Pastor James does not just preach AT his congregation like most ministers in other Churches I have attended; he preaches to himself as well. The first concern I have is that Ms. Roys makes her living by searching out evil. This means that on a good, productive day she is giving an audience to Satan as she seeks out and writes about evil in the lives of other Christians. Spiritually speaking, how healthy is that? On the opposite side of evil, I have not read Ms. Roys saying much of anything good about those she is inspired to investigate. I have read her articles on Pastor James and HBC, hoping that she would present both sides of the stories, what is referred to as “balanced journalism”. But sadly, I find her lack of “balanced journalism” to be like most journalists of today- one sided, and focusing on the activities and accomplishments of Satan in the world. Making a living out of giving the general public her take on the evil side of what itching ears desire to hear about Christianity, the Church, and especially Pastors, seems to broadcast more about who Ms. Roys may be than who the Christians are that she reports on. Second, why should we believe those who write about the personal lives of Pastors and Churches while we know nothing about the personal lives of those who write these reports on our Pastors and Churches? Colossians 5:7-8 cautions us to be careful about who we listen to. Although I searched, no where have I found Ms. Roys testimony on how she came to a saving knowledge of Jesus Christ. Is her testimony and statement about what she believes hiding in plain sight on her website? If so, where can I find it? And what Church does Ms. Roys attend? While Ms. Roys has commented extensively on the words and actions of Christian Pastors and staff at Willow, MBI, and Harvest, I have not been able to read what Ms. Roys believes or how she came to Christ. And by the way- is her husband and family saved? While I support a Biblical model for overall Church discipline, I cannot find Ms. Roys model of a woman using anonymous inside informants to write disparaging words about a Church, its elders, its Pastors and even its congregation: “Supporters and members of Harvest need to ask themselves…” (from the quote by Ms. Roys I cited). Is this type of model in the Bible? What I find unsettling is Ms. Roys repeatedly (and repeatedly!) regurgitating the same story and accusing the same people over and over (and over again!) in her articles. Is this Biblical? Is NOT letting up and NOT letting go Biblical? Does Ms. Roys hold her prey until another topic (and perhaps another paycheck) comes along? Ms. Roys wrote, “…as MacDonald and his elders have consistently done, did they drop the lawsuit to protect the guilty?” If this is not Ms. Roys slanderous condemnation and rallying call to those who have an ax to grind against Pastor James or Harvest, then what is it? Certainly not Biblical! How is the one-size-fits-all solution of firing the Pastor from the Church before he is found guilty through the proper measures, how is this Biblical? And how does it honor God for a Christian woman to attract comments by strangers who have written to members of Harvest “,,,this needs to be taken now to papers; perhaps then THOSE GULLIBLE ENOUGH TO PLEDGE MONEY to MacDonald family business aka Harvest Bible Chapel…” (caps mine). Really? Giving over major decisions about the Church to those of the world through the press is Biblical? And calling your fellow Christians “gullible” is also Biblical? Jessica, the title “Time to Confess and Repent” applies to *everyone* involved in this mess. So I listed sins from the New Testament for ALL OF US to consider since contrition and forgiveness is a good place to start the healing process. Dear Sister, we loved, served, gave—and even FORgave—HBC for 12 years. I understand how you feel. I can hear the disbelief, the rationalizations, the displacement of blame. At some point, many of us engaged in the same mental gymnastics to shield our eyes from the disturbing reality. But the day of reckoning for James Macdonald and the Elders who have protected him has come. God is using Julie Roys (and many others) to expose him. He has given James chance after chance to confess and repent, but James has rejected those opportunities in favor of self-interest. James will always be Founding Pastor of HBC, but God will remove him as Senior Pastor of HBC soon. Sadly, James has woven a web of deceit so complex that he believes his own lies. God is no doubt grieved by the choices of a man to whom so much was given, yet squandered. 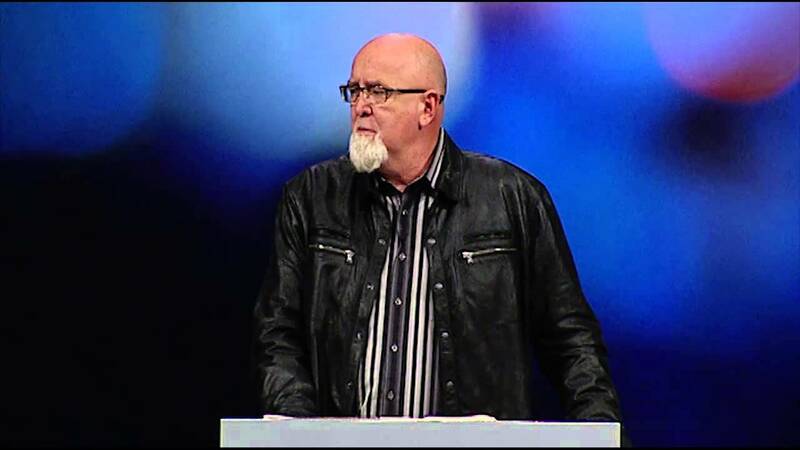 I confess and repent of the sin of idolizing James MacDonald–his teaching, his presence, his speaking, and his charisma. Forgive me, James. Forgive me, brothers & sisters. Forgive me, Lord. Thy will be done. …and now many (you too?) need to stop idolizing Julie Roys. I am currently attending Harvest but am looking for a new place for my family to worship. Any recommendations for the LITH, Elgin, Carpentersville, Algonquin, Huntley area? If you can add the reason for your recommendation, that would be helpful. Thanks! Come on over to the Vineyard in downtown Elgin. The pastor has a gentle heart, and the church has a high priority on serving and ministering to the homeless in the Elgin area. We serve a breakfast 6 mornings a week in the community room so the poor and homeless can be fed. It’s a beautiful congregation and intentionally stays under 400 people; we’re sending a church plant out in February. 1-I would encourage you to first get into the book of acts, pray and read thru it. Asking the Lord to show you how He thinks about the church and what it ought to look like. 2- I would encourage you to check out body’s of believers who are Jesus centered, elder led and Congregationally affirmed like: Village church bartlet, redeemer fellowship and city of joy church. Praying for you now. Looking forward to talking soon. Please visit Redeemer Fellowship (1125 Oak St., St. Charles, IL 60174). Solid teaching, good structure, and many people finding help & healing after leaving HBC. The Bridge Church of Algonquin (pastor Todd Berge). He is a shepherd who leads with integrity. Also a good preacher. After we finally made the painful decision to say goodbye to many much-loved friends, small group members, and faithful partners in the gospel at Harvest in November 2017, we visited many, many churches. Prior to embarking on that quest, we expected it would be dry and difficult. But to our surprise and delight, we were strengthened and encouraged by what we saw the Lord accomplishing in so many different settings. It was so thrilling, in fact, that we just kept searching out more gatherings of believers where we might see God displaying still more of his goodness and magnificence, from high liturgical (but 100% Bible-based) Anglican to what I’d loosely call “hipster charismatic,” and from fairly large multi-campus evangelical churches to very small assemblies of a few families. What a cause for praise to see the extent and variety of His work! The towns you mentioned were a little outside the core of our geographic focus, and I’d bet there are many more we could have visited that might have been fantastic places to land. But inside your perimeter two churches we visited stood out. One was Fox Valley Church (Evangelical Free) in Dundee, which easily set the standard for how they welcomed newcomers, and invited us into relationship right away. I’m not saying everyone should follow our path. I have great respect and love for many of our faithful brothers and sisters who still worship and serve at Harvest, and I trust the Lord for now is growing and using many of them right where they are, irrespective of how much they may be delving into what has been reported, or how they may be evaluating Pastor James, the elders, etc. But if you believe the Lord is calling you to exit Harvest and instead to come alongside other believers and under other elders, then get ready for similarly great encouragement as He reminds you just how lovingly active He is and shows you so much more of the wonderful things He is up to. I just recently (2-3-19) stumbled across this website while looking for something else, (thanks a lot google) and now am looking at things I wish I hadn’t even glanced at. At one point in my life, I listened to scattered “Walk in the Word” broadcasts, but could not even make myself like Mr. McDonald after trying. He just seemed off to me, and I don’t know why. Holy Spirit’s prompting, I think. The one thing that I have discovered after 50 years of being a Christian is, as soon as you find the perfect church, it will no longer be perfect when you start attending it. Another piece of wisdom is, the smaller the church group is , the better. The churches who are over 100 people in attendance soon lose their perspective, and scandal is more likely because of how impersonal it can become. The Mega-Church is a thing that I avoid because way too many people just go there so they can hide. Just my opinion, and it’s worth what you paid for it. Looking… We left after 14 years and have been at Fox Valley Church since Thanksgiving weekend. It was a rough transition at first, especially for the kiddos who grew up at Harvest and knew only of a large organization. But after a few weeks, they’ve come to LOVE the intimacy of youth ministry. As for the rest of the church, people have been warm and welcoming and Pr Tom’s sermons have been biblical and given with gentleness. The worship has been the hardest for all of us to get used to. They aren’t paid, professional musicians (except for the leader, I think). There was an influx of Harvesters last weekend (I actually did a double take to make sure I was in the right place!). Wherever you land, I hope and pray you find peace. Julie, If you have more information about Harvest and James, I hope your planning on bringing it out. Julie your courage and thoroughness are a gift from God. Keep doing it. What we find amazing is how JMac and elders can put a spin on the lawsuit and really almost make you think they are the victim? What else we find amazing is how 30 elders of the church are so blind to JMac and families actions that they seem to still give them their unconditional support? When you read the by-laws; who would ever agree to wording that has given so much control to JMac? So much corruption; there is only one solution. The JMac family must be removed. Sure they can be forgiven that is between Jesus and them. They can’t hold positions in the church any longer. It would really be interesting to see who holds title to all the different properties. Is title to Naples separate than HBC in Elgin. We can see JMac and family cutting from Illinois and heading to warmer weather. Does JMac seek the advice of Driscoll. He seems to be mirroring some of Driscoll’s decisions. After what happened at Mars Hill you can quickly see that JMac changed the by-laws so they couldn’t get rid of him. Interesting it is the elders that wanted the lawsuit now. Interesting that JMac couldn’t stand to have his and other’s tax returns released. One thing about JMac he is always trying to stay two steps ahead of everyone else. It is getting tougher for him to do. Yes to all. Are you still at HBC? I don’t think the current by-laws are legitimate. They were changed…yes…but not by going through the proper process. Therefore, HBC may be operating on by-laws favorable to JM but those are not the proper by-laws that have member voting and elder oversight. I attended that church during that period of time of by-law changes I do not recall any membership voting. I am no lawyer here, but changing the by-laws of a non-profit to benefit an individual(s) seems to be illegal, fraudulent and just plain unbiblical. In my humble opinion this is where the investigation should lead and probably by a DA office before the statutes of limitations expires. There clearly is a pattern of JM just making changes (HBF) without anyone knowing. Maybe a class action is warranted so I can get some of my tithes back. I didn’t sacrificially give to a fraudulent so JM can vacation all summer, take family on extravulant vacations, live in a big house and sneak off to Vegas for weekend gambling trips. The by-laws were changed in 2015. Elders did solicit feedback via an Elder update. Soliciting feedback is not the same as holding a formal membership vote. I agree with Former Member, just vote with your feet and walk away. I agree, I was a member during this time and I dont remember any church meeting to discuss and approve the by law changes. I`m no attorney either, but I wonder if the by laws were not changed according to the HBC constitution then does that make all subsqient agreements (eg. Contracts, employee NDAs) invalid. The bottom line is, James MacDonald no longer has the character, integrity, and temperament to be an effective leader of a Christian church. Any congregant who remains at HBC, in spite of all that’s happened, has to ask themselves: am I staying because I’m a part of the Body of Christ? Because all my friends are there? Because it’s too inconvenient to find a new church? Because I’m being entertained by a lively pastor and a quasi-rock band? Since formal voting is not an option, HBC members have no recourse but to vote with their feet. Although probably unintentional, people who are aware of what’s going on, yet remain, are endorsing ungodly behavior from the pulpit. At this link you can see a transcription of James MacDonald’s church performing “church discipline” on a few former elders. Steve Huston: Church matters are not to be tried in the court of public opinion. Publicizing viewpoints rejected by the elder majority, for any reason, is satanic to the core and must be dealt with very directly. Those who have no standing in a local church, but continue to assault it from outside with factious messages must be rejected according to the word of God. So here we see one elder calling public disagreement as being “Satanic to the core.” I have seen where people will call disagreement “gossip” or “slander” or being “divisive” but this is taking it to a new level. If you want to talk about being full of yourself and assuming too much. To be fair James MacDonald that this discipline was wrong but I have seen where they addressed this specific statement. For a group of church leaders to make such a strong statement just IMO really shows where they are. The leadership appears to be quite arrogant and assured of their position assuming way too much and that anyone that disagrees with them must be wrong or an attack from Satan. Sadly this shows the hubris of James MacDonald. Thus I doubt there will be any confession/repentance. In their “apology,” James/HBC did not correct their errant theology about the Elders speaking for God. I totally understand that for many people, a lot of this does not make sense. They don’t have (or want?) the full picture. But when you come to realize that Harvest is nothing more to the insiders than an interstate money-making “organization” gussied up in a gross and disgusting way pretending to be a normal church, all of this, everything, makes perfect sense. No, the *real* Consigliere, for nearly a decade and a half, the defacto boss of bosses, the fixer and cleaner all in one, is, and has *always* been…. Fred Adams. Want to know where all of the financial skeletons are buried?, How the money was expertly shuffled among the various monied enterprises?, How much debt Harvest *really* has? Who was paid to shut their mouth and how much?, How many MILLIONS the filthy nepotistic MacDonald family had enriched and gorged themselves on? Ask Fred Adams. Meyer Lansky would have been proud to have a Fred Adams. But methinks Freddie would tell ‘ol Meyer that MacDonald is a much better earner. Joe D. – I’ve been waiting for someone to call this to light. Fred Adams AND Rick Donald…. and I had first-hand experience with both at the school. Ma’am, you have placed a great burden on my family because of your widespread interpretation of the facts you have gathered. My father is a Pastor of a Harvest church and I am proud to attend and call Harvest home. We are only a couple years old as a church body rite now, and we have gotten as far as we have because of the support of the network of other Harvest churches. As you may know, new churches tend to be a little fragile. I wonder how many good churches are going to fail now because of your agenda. If you are anything like me, you weighed the cost/reward ratio of publishing your opinions on the facts you have gathered and I can’t assume you would not have considered all the ramifications. I can’t help but wonder how palatable your “unique” journalism style must come across to God. (Unique to Christian journalism) I guess we will all find out when we all get to heaven. -oh and congrats on your new found fame acquired while tearing others down. I too am being sued for defamation by a church. Confess, Repent, Resign and Make Restitution.